This lively, informative study provides an intimate view of the lived experience of race in urban America from a unique vantage: the corner store. 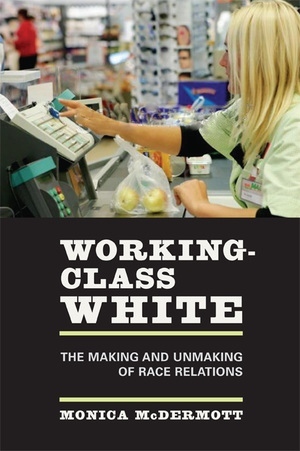 Sociologist Monica McDermott spent a year working as a convenience store clerk in white working class neighborhoods in Atlanta and Boston in order to observe race relations between blacks and whites in a natural setting. Her findings illuminate the subtle cues and genuine misunderstandings that make up race relations in many urban communities, explore how racial interactions and racial identity are influenced by local context, and provide evidence of what many would prefer to believe does not exist: continued anti-black prejudice among white Americans. McDermott notes that while most black-white interactions are civil and unremarkable on the surface, interactions between blacks and whites living in close proximity are characterized by continual attempts to decipher the intent behind words, actions, and gestures, and that certain situations and topics of conversation, such as crime or gender relations, often elicit racial stereotypes or negative comments. Her keen insights on the nuances of race relations will make this book essential reading for students and anyone interested in life in contemporary urban America. Monica McDermott is Assistant Professor of Sociology at Stanford University.